Our small Citroen rental car’s window is filled with the distinct shape of Table Mountain as we motor along the impressive freeway toward Cape Town. It looks like someone has sliced the peak off a huge mountain and forgotten to put it back. An incredible sight despite having seen it in magazines and on TV. A glance at our watches tells us that we have been traveling for over 20 hours since we left Hong Kong however we are wide awake with the thought of spending the next six days in Cape Town. We have only just arrived on the Western Cape however the aerial views of the rugged mountains, extensive vineyards and the southern Atlantic ocean have piqued our desire to explore this beautiful region in detail. Our short journey to Hout Bay, a small town south of the city, takes us past several shanty towns – millions of people call this part of South Africa home. This is our first close up look at these communities and we are quite shocked at the number of flimsy shacks that have been erected here. It becomes painfully obvious to us that despite the demise of apartheid the black majority in South Africa are still a long way from living the dreams held by Nelson Mandela and other staunch anti-apartheid activists. That day will come. We follow the instructions sent to us by the hosts of the B&B we will be staying at and before long we are driving through the forested winding road that links Hout Bay to Cape Town. Huge houses surrounded by acres of land are visible behind tall fences. Electrified wires are strung across the top of the fences and warning signs send a message to those who have nefarious intentions. This beautiful suburban area is a stark contrast to the sprawling shanty town landscape on the outskirts of Cape Town city. Our fellow avid traveller Jen Miller (Jen Reviews) has written some great articles on “100 Best Things To Do In South Africa” Please check out Jen’s excellent articles for some great advice on when visiting South Africa. 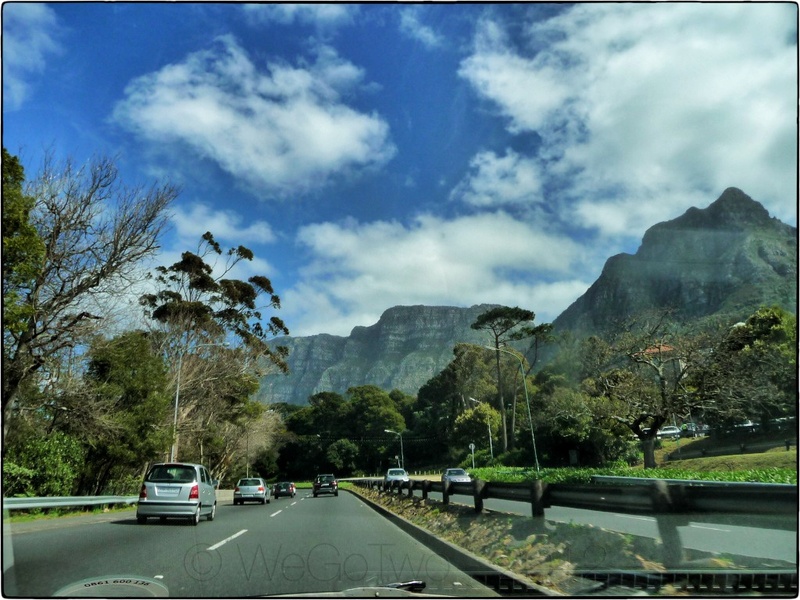 This entry was posted on Monday, September 3rd, 2012 at 12:30 pm	and is filed under Africa, Cape Town, Enroute, On The Road, South Africa. You can follow any responses to this entry through the RSS 2.0 feed. You can leave a response, or trackback from your own site.